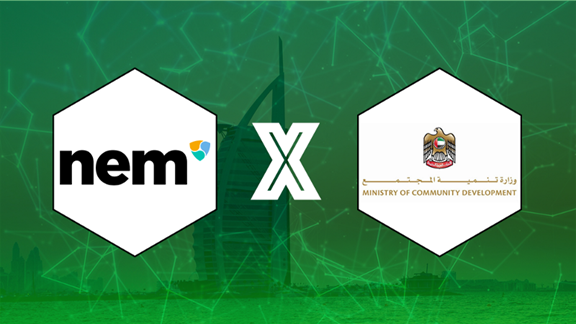 The United Arab Emirates’ (UAE) Ministry of Community Development (MOCD) has recently signed a cooperation pact with the NEM Foundation that will see NEM providing blockchain consultation services and support to the MOCD. It will also see both parties exchange information, knowledge and the latest updates on the emerging technology of blockchain. 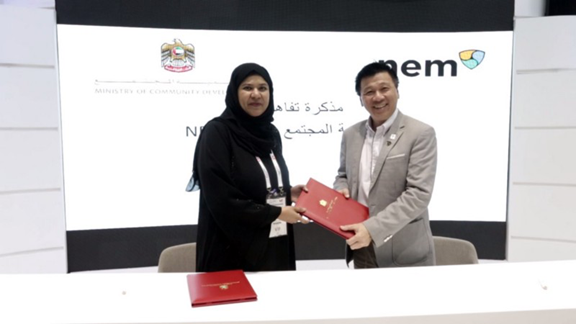 The memorandum of understanding (MoU) was signed between Her Excellency Sana Mohamed Suhail, the Undersecretary of the UAE’s MOCD and Stephen Chia, Regional Head of NEM Southeast Asia and NEM Foundation Council Member. It was done during NEM and the UAE’s MOCD’s participation in the Gulf Information Technology Exhibition (GITEX)Technology Week 2018, that was recently held in Dubai from 14 to 18 October 2018. This signing comes as part of the strategies of the UAE federal government to achieve a high standard of living for their citizens and the provision of community services in an innovative, sustainable and high-quality manner. It is also part of the UAE’s plan to be a fully digital government by 2021. According to Her Excellency, Sana Mohamed Suhail, the MOCD seeks the promotion of social work to achieve community coexistence through the development of integrated policies and the provision of integrated and innovative social works. This combined with a stimulating working environment that is in accordance with the best international standards is to satisfy all the demands and needs of the community categories and ensure their access to easy and fast services. A blockchain platform will assure the MOCD’s effort for active communication with its customers and comes within the series of development and progress that is adopted by the ministry to satisfy the needs and expectations of its customers.